The WeatherLink 2.0 app brings the Davis WeatherLink 2.0 Network to your phone. Join the worldwide network of businesses, schools and hobbyists who have chosen to share their weather data with the world. 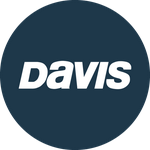 WeatherLink 2.0 lets you see your personal Davis Instruments weather station data and local forecasts, as well as explore other stations from around the world. Enjoy forecast, rain, barometer and solar radiation interactive charts.